Kann mir jemand helfen - wie heißt denn dieses amerikanische Gemälde eines älteren Paares vor ihrem Haus oder ihrer Scheune, beide stehen so steif wie Besenstiele da, und der Mann hält eine Rechen oder so etwas in der Art in der Hand? Oder von wem ist es? Ich würde es gerne Bilder-Googeln, aber ohne Titel oder Namen des Malers geht das natürlich nicht. 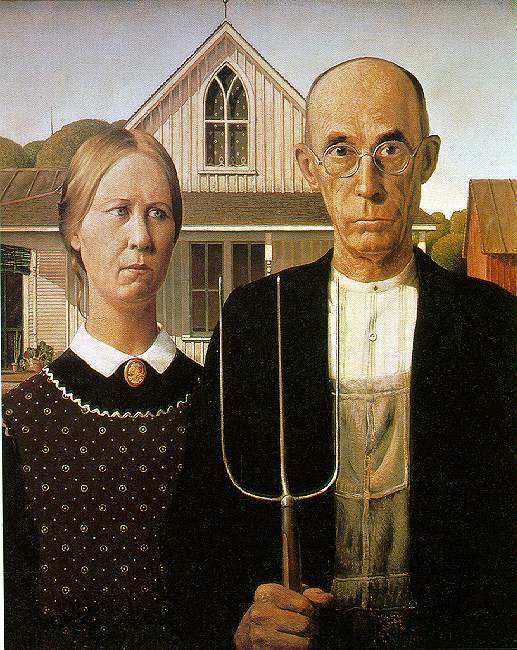 Grant Wood " American Gothic"
Mit dem berühmten Zitat in der Rocky Horror Picture Show! Very sorry I wasn't here at the right time to answer this question. danke vielmals, das war es. I'm peeing a little. 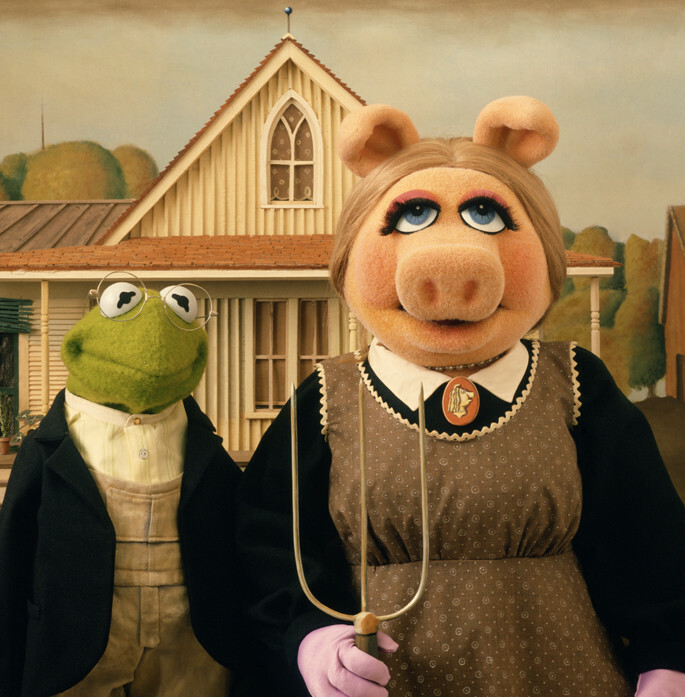 I actually have a version of myself on the farm, with pitchfork in hand. Doesn't everyone? EDIT: I've seen the actual at the Chicago Art Institute. It's not all that. too much information or what? No, sometimes when you laugh too much, you pee your pants. 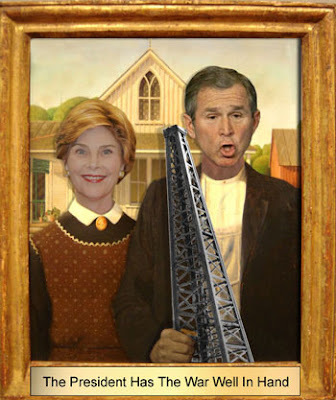 It was in that vein, Spinatwachtel, since the pics of the alternative "American Gothic" are quite humorous.